With Christmas (and thanksgiving if you’re across the pond) just around the corner Facebook have announced a new tool to let users pull together personalised video cards to share with their friends. 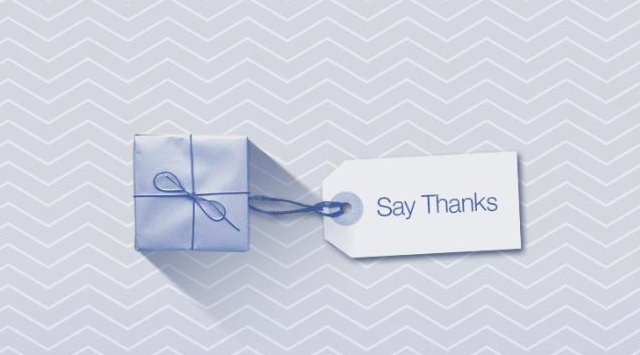 Say Thanks uses a combination of pre-built themes and user posts and photos that can be shared directly to timelines – think Flipagram clever “Year in Review” feature – it’s more than a little bit cheddar but you can create your own to send to friends here. 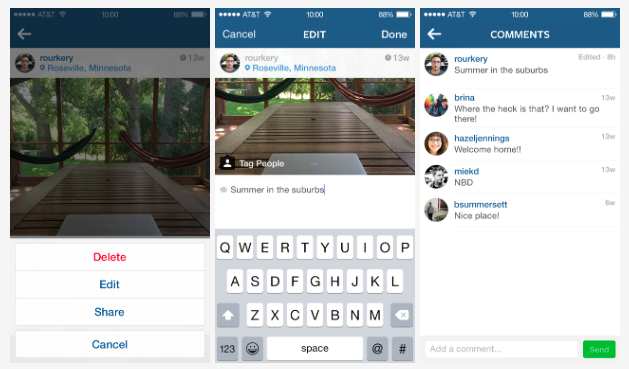 It’s been one of the most requested updates received by Instagram so they’re excited to launch all new caption editing options. If you’ve spotted a typo (or forgot to include that all important emoji) there’s now an edit option in the menu beneath your posted image, simply tap on this to edit your caption! Youtube have unveiled their long awaited subscription service – Music Key. The service allows users to stream ad-free music videos and download them for offline use plus membership to Google Play All Access is also included in the monthly subscription price. The service is currently in Beta but expect it to be rolled out widely soon. Twitter has teamed up with a leading women’s advocacy group to battle sexual harassment on the social network. Women, Action, and the Media (WAM!) say that online harassment of women is now occurring on an “unprecedented” scale so have launched a Twitter Harassment Reporting Tool to help raise these complaints to the social network. In an attempt to #BreakTheInternet (not confirmed) Kim Kardashian took to the cover of Paper magazine in the most NSFW cover images of the year – the internet remained in tact but the social buzz is still lingering around Kim. Paper confirmed that traffic to their site hit 6.6 million page views with 5 million of those being unique visitors. Images tweeted by Paper received 7,993 retweets and around 7,000 favourites – Kanye West’s own efforts drove ten times this amount cheekily hashtagging #AllDay.